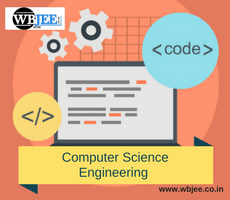 COMPUTER SCIENCE ENGINEERING is one of the most popular courses among aspiring engineers which comprises of the basic elements of computer programming and networking. It imparts knowledge mainly on design, implementation, and management of both hardware and software. It encompasses several topics related to computation, analysis of algorithms, programming languages, program design, software and hardware components. Hence, it primarily deals with the theory of computation, computational systems and covers the whole mechanism of how the computer works and all its processes. It also has its roots in electrical, electronics, mathematics and linguistics. The course being immensely popular is offered all across the globe at all technical institutions at both undergraduate and postgraduate levels. For PG: The candidate should have a B.Tech degree with a minimum passing percentage in the aggregate of the subjects studied at the degree level. COMPUTER SCIENCE ENGINEERS are responsible for the design and development of software applications for several industries. They manage the software, hardware and networks sections in the industry. computer science engineers have significant involvement in the design of PC’s and Laptops and improving it bit by bit to make it more efficient and that it fits the increasing pace. They develop software for other computing devices and writing codes and algorithms for Operating Systems. It is completely impossible to live without computers and related technology as it has its grip over almost all spheres of life. Hence, its apostles and descendants will carry on their duty and responsibility for the advancement of mankind. Lucrative opportunities are always on their way as there are frequent up gradation and latest and efficient inventions in this sector. Increasing number of software companies, IT hubs, their expansion and variety of tasks indicate an increasing demand for CSE experts. Latest budding concepts of ‘Cloud Computing’, ‘Internet Of Things’, ‘Artificial Intelligence’ etc. on which the future of technology rests will require specialists of this domain. Problem-solving, analytical skills, awareness of latest technologies and experimenting on the same will show a brighter future. Significant careers in this field are – Software Developers, Hardware Engineers, System Designers, System Analyst, Networking Engineers, Security Administrator etc.